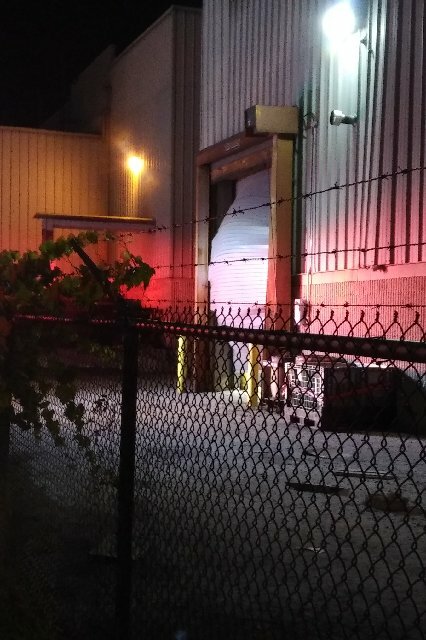 Damage from an explosion at the Meridian plant in Strathroy, October 22, 2018. Photo courtesy of Greg McClinchey. 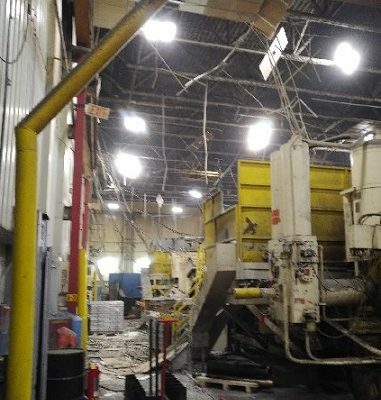 The Ministry of Labour and the Ontario Fire Marshal’s Office are investigating after an explosion at a magnesium diecast manufacturing plant in Strathroy. 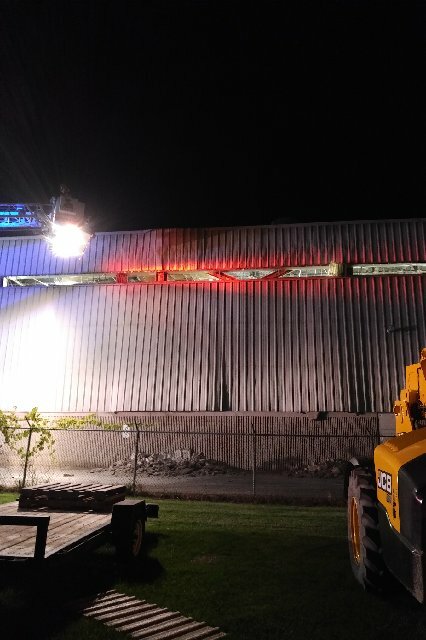 Emergency crews, including firefighters from stations in Strathroy and Mount Brydges, were called to the Meridian plant on High Street East around 7 p.m. Monday. It’s believed a piece of machinery had caught fire, leading to the explosion. 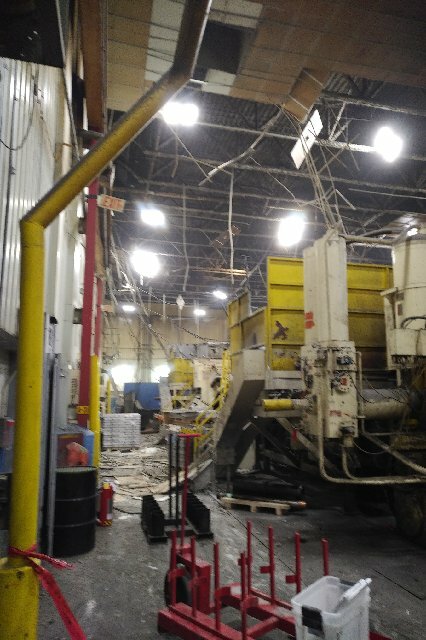 “As explosions go, I suppose it was a minor explosion, but certainly enough to do some structural damage to Plant A – the diecast plant,” said Strathroy-Caradoc CAO Greg McClinchey. Two employees who were hit by falling debris were treated for minor injuries. An exact damage estimate has not been released. The plant, one of three in Strathroy owned by Meridian, was closed Tuesday with no word on when it will re-open. McClinchey said he isn’t speculating on what may have caused the explosion. “We can only report what our firefighters saw, so we will leave that to the Fire Marshal’s office and the investigators to determine what the actual cause was,” said McClinchey.